Remember this is a hobby project, so it may take a couple of weeks to assemble your cart.. The price for 2018 is $85USD plus shipping / postage. SC-3000 MEGACART PCB. 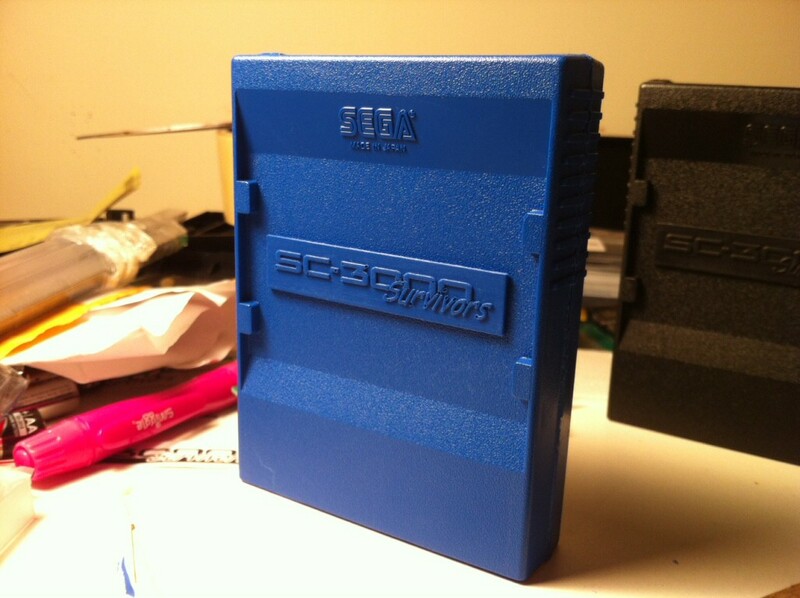 Sadly we are no longer making the custom SC-3000 Survivors Cartridge Cases, so you will have to supply your own from a donor cartridge. We really don't want to ship any SG-1000 ROM games like Congo Bongo, Star Jacker etc. with the multicart. Those are easy to find on the Internet, and we don't want any nasty letters from the companies who hold the copyrights to the SG-1000 games. 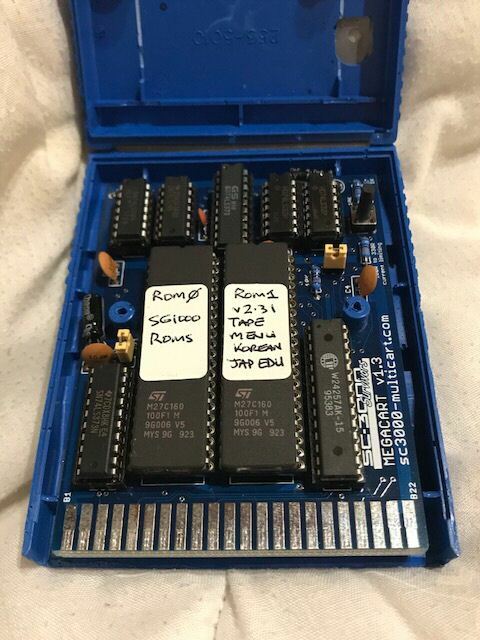 The MEGACART has two 27C160 16MBit EPROMs. This is enough space for 96 SG-1000 games in addition to the packaged tape games, VGMs, Korean ROMs etc. that ship with the multicart. 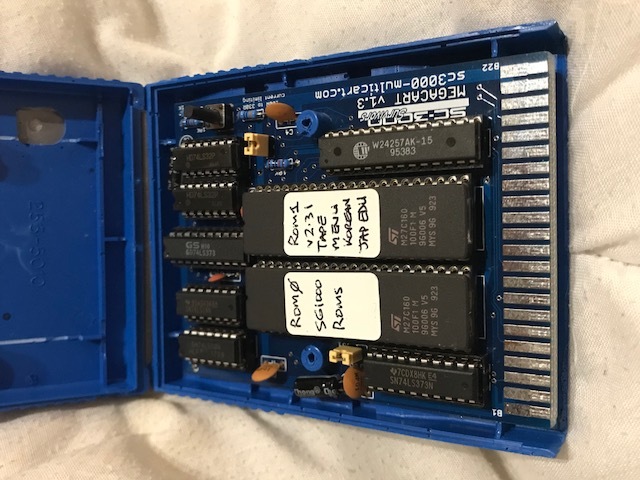 But if you want to add the SG-1000 ROMs yourself you will need an EPROM / Flash programmer (approx $45-50 USD on eBay including shipping) and a UV Eraser (approx $20USD on eBay including shipping). We can point you in the right direction if you need assistance with that. And if all you want is the packaged tape games and Korean ROMs the multicart comes with, that's cool too - they will run out of the box. 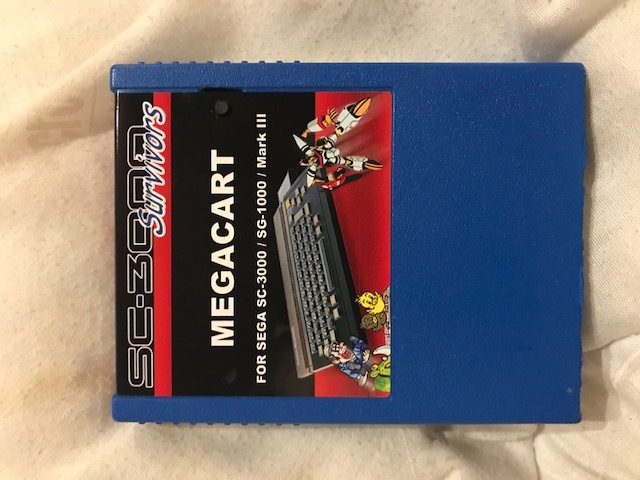 The MEGACART works on a SC-3000, SG-1000, SG-1000 II, or Mark III. But most of the tape software requires a keyboard. So you may need a SK-1100 Keyboard to use the tape software with a SG-1000 or Mark III. Some of the games like Burglar Bill run fine without a keyboard, but some like 1986 won't work without a keyboard. The largest SG-1000 ROM you can store on here is 32KB. This isn't an Everdrive. That is a better solution if you want Master System games rather than SC-3000 / SG-1000 games. Yes, I want one, or at least I'm still interested.